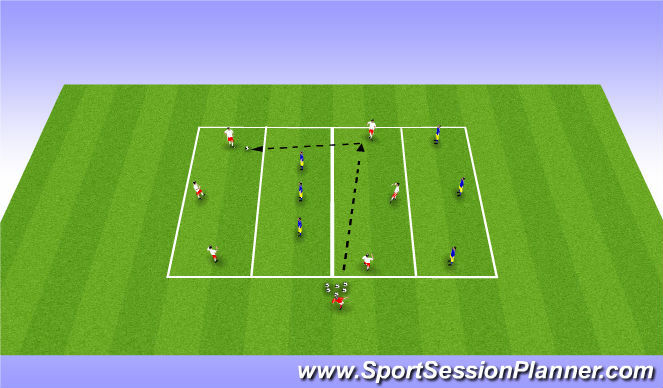 Player A plays to Player C, as this happens Player B moves across to block the passing lane, Player C then plays back to Player A who plays through to Player D. Player D dribbles back, players rotate and process restarts. Players look to score in either of the pug goals. 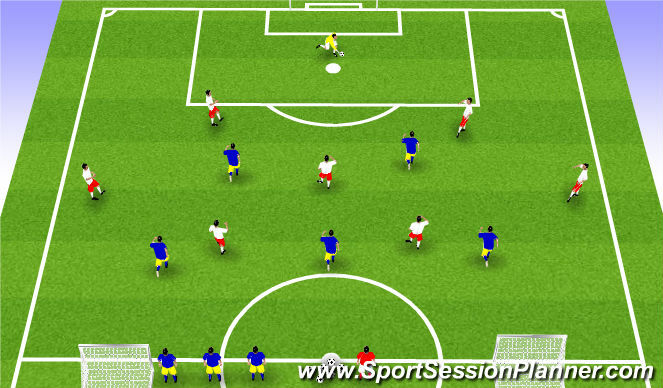 If the defending team win the ball they are looking to score in the big goal. 5. What if they change system on us? How do we answer the questions above? 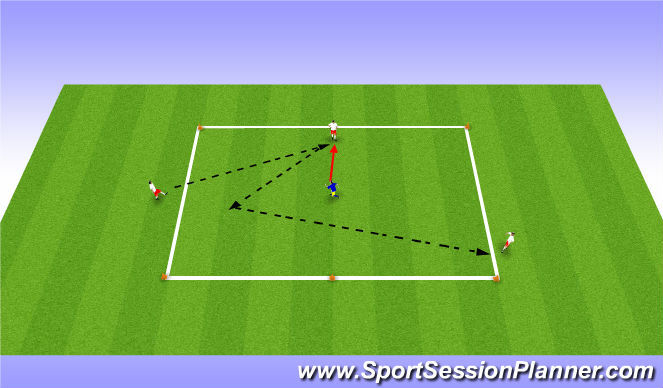 Attackers are looking to transfer the ball from 1 end of the area to the other, each player has a maximum of 2 touches (ball must stay below head height).